I have been running for four months now. I am a seventh grade girl. Our cross country courses are 1.5 miles long. I can accomplish that in 11.32. I need to up that score by at least one minute to beat our running legend, who graduated a year ago. Thank you for your question about cross country running. Well, I can give you a few general pointers that explain the key ingredients to a fast 1.5 mile, but that's probably all I can do. 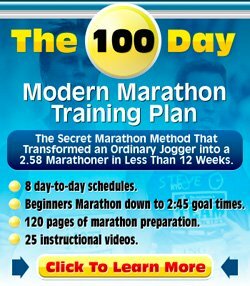 I am not sure how much running you are currently doing and how much time you have got available to improve your running. When you have only been running for four months, I would expect that you'd still be able to improve your times, just by keeping on doing what you are doing. A weekly long run. This should be run at an easy pace. The goal is to build your endurance. Also see the base running page. An interval session. You will want to do something like 6 x 400m hard with 90 sec rest or 3 x 800m with 2 min rest or 2 x 1200 with 3 min rest or even 12 x 200m with 45 sec rest. Something like that. A tough session as you'll do these intervals quite fast. Not at top speed, you will want to do the last interval pretty much as fast as the first one. But you will want to make it fast. 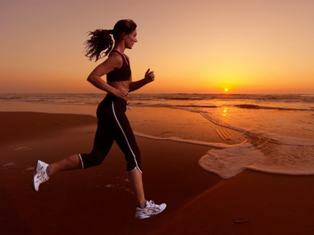 Make sure to vary the interval length each week, you'll want to challenge your body in different ways each week. Also see the interval running page. Tempo run. Tempo runs are done at a moderate-to-fast pace, not so fast that you run out of breathe though, you'll want it to be a strong effort that you can maintain for a longer period of time. Also see the tempo running page. Now, depending on where you are at, how long you have got to improve etc, there is lots of different approaches to how to mix and match these workouts. A weekly long run is pretty standard, but whether you do zero, one or two tempo sessions per week for example, depends quite a bit on where you are at in the training cycle. If you don't have a clue, a relatively straightforward way that will help provide results is to just do one of each, each week. Now, training three times a week is normally not enough for top performance, although it depends also on how much talent you have and how much you have been training already. You'll probably want do some more easy running or add some cross-training (bike, swim, some gym exercises or so) to the mix. That's pretty close to the approach I use when I am in race-preparation mode; do a long run, a tempo and an interval session and complement this with an extra easy run and one or two other workouts (cross-training). The best thing you can do is to sit down with an adult, whether it is your parents or somebody from school, who can work through this with you and set up some schedule. I don't know how fit you are, what is happening to your body (puberty, growth etc) and how much training workload you can handle in addition to your school work. And I don't want you to run off, get way too enthusiastic and get yourself injured. So get somebody involved to make sure you don't do anything too crazy. Above all, make sure you have fun at what you do.